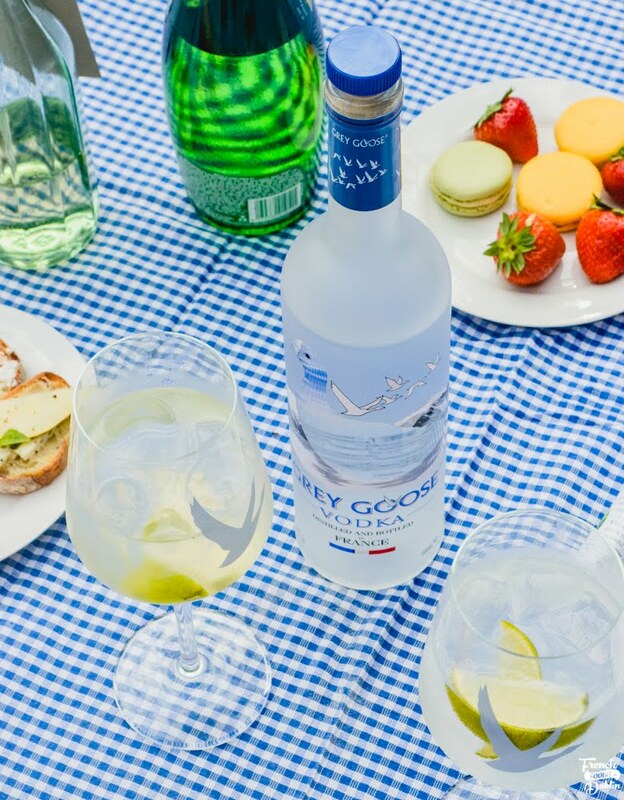 You know I love my picnics and apéritifs in summertime so when GREY GOOSE® asked me to come up with my ideal picnic panier (basket) to enjoy with their new signature cocktail Le Grand Fizz, I naturally said 'Oui'. You can find my top tips for a summer soirée in the August edition of the Irish Tatler and today I'm also sharing the recipe here as well as hosting a giveaway. GREY GOOSE® uses only the best French raw ingredients, combining soft winter wheat grown on farms in the Picardie Region and pristine water from Gensac-La-Pallue in the Cognac region. Le Grand Fizz is a delicious blend of GREY GOOSE® vodka, St-Germain elderflower liqueur, soda water and fresh lime. Served in a large wine glass with lots of ice cubes le Grand Fizz is an effortless and elegant drink at the same time, très French! Build ice into an oversized cabernet wine glass. Add GREY GOOSE® Vodka and freshly squeezed lime juice. Top with ST-GERMAIN elderflower liqueur and chilled soda water. Garnish with two lime wedges and a GREY GOOSE stirrer. For added aromatics, twist the zest of the squeezed lime wedge over the top of the drink. 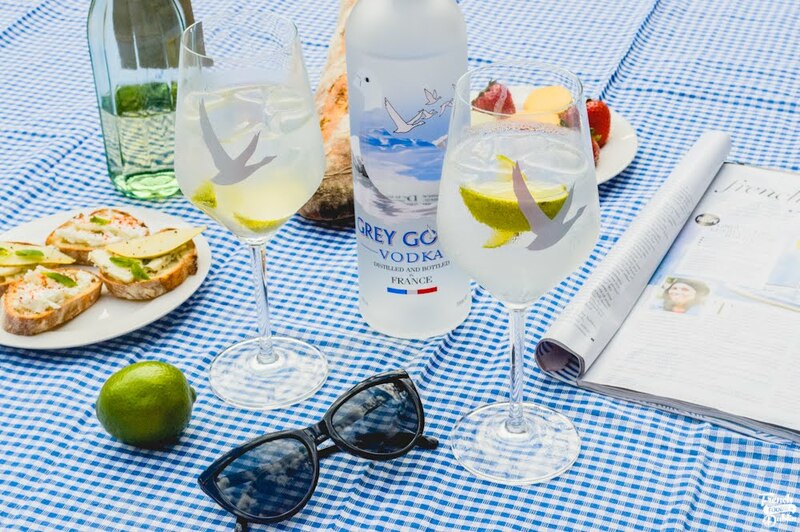 I'm delighted to have a Grey Goose® Summer Soirée Hamper to give away to one lucky reader. Enter the competition by answering the question in the rafllecopter form below (get extra entries if you follow me on social media). The winner will be announced and contacted on the French National Day, Thursday 14th of July 2016. Bonne chance! (You must be resident of Ireland and over 18 to enter). Disclaimer: This is a sponsored post/giveaway in collaboration with Grey Goose. I kept editorial control for this article and my love for French vodka is my own!